TL;DR: Slightly worse compared to the first two books of this series. Still an enjoyable read. The first two books started painting a nice world without too much unexaplainable magic, maybe even close to high middle ages. But then, towards the end of the book, the story got cut off very rapidly, introducing huge amounts of magic (read it, writing about the specific scenes would be too spoilery). And after that, every chapter tied the loose endings of another character or two, feeling very hurried. I will leave some time before starting on Joe's other series, First Law World, and hope for more down-to-earth sword and less sorcery. 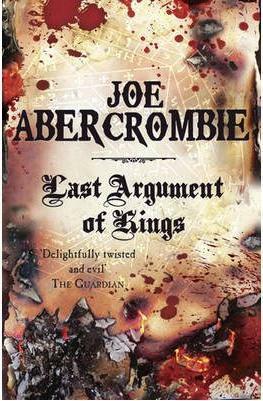 Sign into Goodreads to see if any of your friends have read Last Argument of Kings.